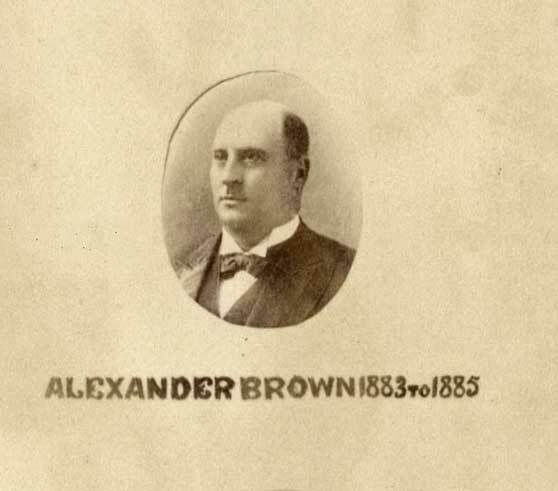 James and Alexander Brown were from a Scottish immigrant family. James made some money working in a tweed factory in Stockton, which he used to lease land at Four Mile Creek. It was here in 1843 that he and his brothers John and Alexander began surface coal mining. The Australian Agricultural Company had exclusive rights to mine the area at the time, and sued the Brown brothers after they successfully outbid the Australian Agricultural Company on a large steamship contract. They went to court and broke the monopoly the AA Co. had on coal in the Hunter Valley. 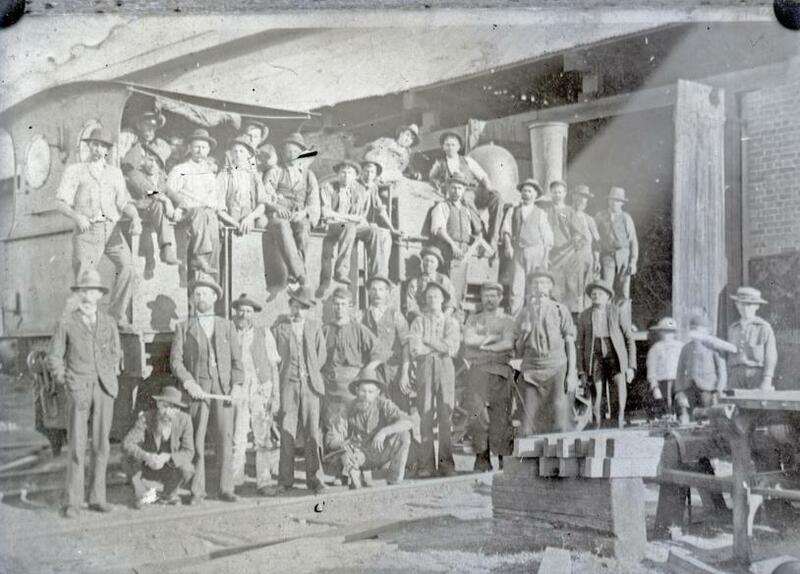 They mined in East Maitland, Burwood, and Minmi, developing Minmi as a private township. The management of the company was passed on to the son of James Brown, John Brown, in 1882. 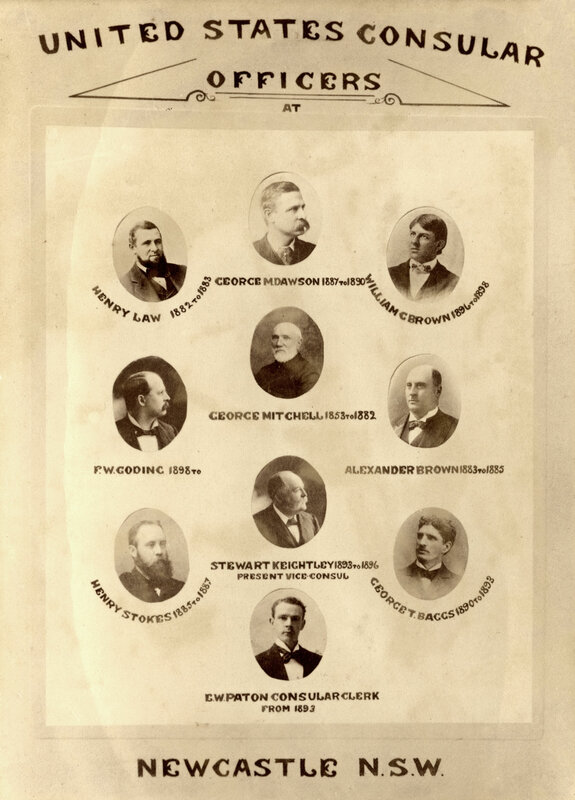 From detail of Poster of the United States Consular Officers, Newcastle [1890s]. Courtesy of the Newcastle District Historical Society. [Number 3 tank Steam engine J & A Brown, Hexham]. Courtesy of the Australian Railway Historical Society, New South Wales Division.